the wicked Kauravas thought you to be cowards. Offers of Pacts & treaties are respected only when backed by invincible strength to Win ! On a historic day when the news of Bharatiya Vayu Sena ( Bharat’s AirForce) rendered the terrorist launch pads inside PoJK to ashes, the @adgpi tweeted the above lines. The entire poem of Rashtrakavi Ramdhari Singh ‘Dinkar’ is given below. This entry was posted in Nation and tagged Indian Army, IndiaStrikesBack on February 26, 2019 by arisebharat. భారతీయ సైనికుల పట్ల చులకన భావం ఉన్న నేతలను ప్రజలు ప్రశ్నించాలి. This entry was posted in Nation, Video and tagged Armed Forces, TRS Leader Disrespect Army on February 20, 2019 by arisebharat. Each time an issue of acting tough on terrorists, the so-called abject surrender of NDA government under Vajpayee ji is brought up. This article by Sri Kanchan Gupta throws light about the events that transpired. It is the people’s will that makes a government strong and stand up ! Was our Nation upto it ? Was it really an ‘abject surrender’ by the NDA Government? There have been innumerable communal riots in India, nearly all of them in States ruled by the Congress at the time of the violence, yet everybody loves to pretend that blood was shed in the name of religion for the first time in Gujarat in 2002 and that the BJP Government headed by Mr Narendra Modi must bear the burden of the cross. Similarly, nobody remembers the various incidents of Indian Airlines aircraft being hijacked when the Congress was in power at the Centre, the deals that were struck to rescue the hostages, and the compromises that were made at the expense of India’s dignity and honour. But everybody remembers the hijacking of IC 814 and nearly a decade after the incident, many people still hold the BJP-led NDA Government responsible for the ‘shameful’ denouement. The Indian Airlines flight from Kathmandu to New Delhi, designated IC 814, with 178 passengers and 11 crew members on board, was hijacked on Christmas Eve, 1999, a short while after it took-off from Tribhuvan International Airport; by then, the aircraft had entered Indian airspace. Nine years later to the day, with an entire generation coming of age, it would be in order to recall some facts and place others on record. In 1999 I was serving as an aide to Prime Minister Atal Bihari Vajpayee in the PMO, and I still have vivid memories of the tumultuous week between Christmas Eve and New Year’s Eve. Mr Vajpayee had gone out of Delhi on an official tour; I had accompanied him along with other officials of the PMO. The hijacking of IC 814 occurred while we were returning to Delhi in one of the two Indian Air Force Boeings which, in those days, were used by the Prime Minister for travel within the country. Curiously, the initial information about IC 814 being hijacked, of which the IAF was believed to have been aware, was not communicated to the pilot of the Prime Minister’s aircraft. As a result, Mr Vajpayee and his aides remained unaware of the hijacking till reaching Delhi. This caused some amount of controversy later. It was not possible for anybody else to have contacted us while we were in midair. It’s strange but true that the Prime Minister of India would be incommunicado while on a flight because neither the ageing IAF Boeings nor the Air India Jumbos, used for official travel abroad (in those days), had satellite phone facilities. By the time our aircraft landed in Delhi, it was around 7:00 pm, a full hour and 40 minutes since the hijacking of IC 814. After disembarking from the aircraft in the VIP bay of Palam Technical Area, we were surprised to find National Security Adviser Brajesh Mishra waiting at the foot of the ladder. He led Mr Vajpayee aside and gave him the news. They got into the Prime Minister’s car and it sped out of the Technical Area. Some of us followed Mr. Vajpayee to Race Course Road, as was the normal routine. On our way to the Prime Minister’s residence, colleagues in the PMO provided us with the basic details. The Kathmandu-Delhi flight had been commandeered by five hijackers (later identified as Ibrahim Athar, resident of Bahawalpur, Shahid Akhtar Sayed, Gulshan Iqbal, resident of Karachi, Sunny Ahmed Qazi, resident of Defence Area, Karachi, Mistri Zahoor Ibrahim, resident of Akhtar Colony, Karachi, and Shakir, resident of Sukkur City) at 5:20 pm; there were 189 passengers and crew members on board; and that the aircraft was heading towards Lahore. At the Prime Minister’s residence, senior Ministers and Secretaries had already been summoned for an emergency meeting. Mr Mishra left for the crisis control room that had been set up at Rajiv Bhavan. In between meetings, Mr Vajpayee instructed his personal staff to cancel all celebrations planned for December 25, his birthday. The Cabinet Committee on Security met late into the night as our long vigil began. Meanwhile, we were informed that the pilot of IC 814 had been denied permission to land at Lahore airport. With fuel running low, he was heading for Amritsar. Officials at Raja Sansi Airport were immediately alerted and told to prevent the plane from taking off after it had landed there. 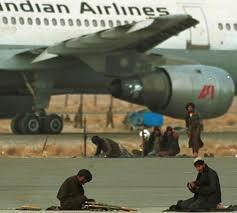 The hijacked plane landed at Amritsar and remained parked on the tarmac for nearly 45 minutes. The hijackers demanded that the aircraft be refuelled. The airport officials ran around like so many headless chickens, totally clueless about what was to be done in a crisis situation. Desperate calls were made to the officials at Raja Sansi Airport to somehow stall the refuelling and prevent the plane from taking off. The officials just failed to respond with alacrity. At one point, an exasperated Jaswant Singh, if memory serves me right, grabbed the phone and pleaded with an official, “Just drive a heavy vehicle, a fuel truck or a road roller or whatever you have, onto the runway and park it there.” But all this was to no avail. The National Security Guards, whose job it is to deal with hostage situations, were alerted immediately after news first came in of IC 814 being hijacked; they were reportedly asked to stand by for any emergency. The Home Ministry was again alerted when it became obvious that after being denied permission to land at Lahore, the pilot was heading towards Amritsar. Yet, despite IC 814 remaining parked at Amritsar for three-quarters of an hour, the NSG commandos failed to reach the aircraft. There are two versions as to why the NSG didn’t show up: First, they were waiting for an aircraft to ferry them from Delhi to Amritsar; second, they were caught in a traffic jam between Manesar and Delhi airport. The real story was never known! The hijackers, anticipating commando action, first stabbed a passenger, Rupin Katyal (he had gone to Kathmandu with his newly wedded wife for their honeymoon; had they not extended their stay by a couple of days, they wouldn’t have been on the ill-fated flight) to show that they meant business, and then forced the pilot to take off from Amritsar. With almost empty fuel tanks, the pilot had no other option but to make another attempt to land at Lahore airport. Once again he was denied permission and all the lights, including those on the runway, were switched off. He nonetheless went ahead and landed at Lahore airport, showing remarkable skill and courage. Mr Jaswant Singh spoke to the Pakistani Foreign Minister and pleaded with him to prevent the aircraft from taking off again. But the Pakistanis would have nothing of it (they wanted to distance themselves from the hijacking so that they could claim later that there was no Pakistan connection) and wanted IC 814 off their soil and out of their airspace as soon as possible. So, they refuelled the aircraft after which the hijackers forced the pilot to head for Dubai. At Dubai, too, officials were reluctant to allow the aircraft to land. It required all the persuasive skills of Mr Jaswant Singh and our then Ambassador to UAE, Mr KC Singh, to secure landing permission. There was some negotiation with the hijackers through UAE officials and they allowed 13 women and 11 children to disembark. Rupin Katyal had by then bled to death. His body was offloaded. His widow remained a hostage till the end. On the morning of December 25, the aircraft left Dubai and headed towards Afghanistan. It landed at Kandahar Airport, which had one serviceable runway, a sort of ATC and a couple of shanties. The rest of the airport was in a shambles, without power and water supply, a trophy commemorating the Taliban’s rule. On Christmas Eve, after news of the hijacking broke, there was stunned all-round silence. But by noon on December 25, orchestrated protests outside the Prime Minister’s residence began, with women beating their chests and tearing their clothes. The crowd swelled by the hour as the day progressed. Ms Brinda Karat came to commiserate with the relatives of the hostages who were camping outside the main gate of 7, Race Course Road. In fact, she became a regular visitor over the next few days. There was a steady clamour that the Government should pay any price to bring the hostages back home, safe and sound. This continued till December 30. One evening, the Prime Minister asked his staff to let the families come in so that they could be told about the Government’s efforts to secure the hostages’ release. By then negotiations had begun and Mullah Omar had got into the act through his ‘Foreign Minister’, Muttavakil. The hijackers wanted 36 terrorists, held in various Indian jails, to be freed or else they would blow up the aircraft with the hostages. No senior Minister in the CCS was willing to meet the families. Mr Jaswant Singh volunteered to do so. He asked me to accompany him to the canopy under which the families had gathered. Once there, we were literally mobbed. He tried to explain the situation but was shouted down. “We want our relatives back. What difference does it make to us what you have to give the hijackers?” a man shouted. “We don’t care if you have to give away Kashmir,” a woman screamed and others took up the refrain, chanting: “Kashmir de do, kuchh bhi de do, hamare logon ko ghar wapas lao.” Another woman sobbed, “Mera beta… hai mera beta…” and made a great show of fainting of grief. To his credit, Mr Jaswant Singh made bold to suggest that the Government had to keep the nation’s interest in mind, that we could not be seen to be giving in to the hijackers, or words to that effect, in chaste Hindi. That fetched him abuse and rebuke. “Bhaand me jaaye desh aur bhaand me jaaye desh ka hit. (To hell with the country and national interest),” many in the crowd shouted back. Stumped by the response, Mr Jaswant Singh could merely promise that the Government would do everything possible. I do not remember the exact date, but sometime during the crisis, Mr Jaswant Singh was asked to hold a Press conference to brief the media. While the briefing was on at the Press Information Bureau hall in Shastri Bhavan, some families of the hostages barged in and started shouting slogans. They were led by one Sanjiv Chibber, who, I was later told, was a ‘noted surgeon’: He claimed six of his relatives were among the hostages. On another evening, there was a surprise visitor at the PMO: The widow of Squadron Leader Ajay Ahuja, whose plane was shot down during the Kargil war. She insisted that she should be taken to meet the relatives of the hostages. At Race Course Road, she spoke to mediapersons and the hostages’ relatives, explaining why India must not be seen giving in to the hijackers, that it was a question of national honour, and gave her own example of fortitude in the face of adversity. “She has become a widow, now she wants others to become widows. Who is she to lecture us? Yeh kahan se aayi?” someone shouted from the crowd. Others heckled her. The young widow stood her ground, displaying great dignity and courage. As the mood turned increasingly ugly, she had to be led away. Similar appeals were made by others who had lost their sons, husbands and fathers in the Kargil war that summer. Col Virendra Thapar, whose son Lt Vijayant Thapar was martyred in the war, made a fervent appeal for people to stand united against the hijackers. It fell on deaf ears. The media made out that the overwhelming majority of Indians were with the relatives of the hostages and shared their view that no price was too big to secure the hostages’ freedom. The Congress kept on slyly insisting, “We are with the Government and will support whatever it does for a resolution of the crisis and to ensure the safety of the hostages. But the Government must explain its failure.” Harkishen Singh Surjeet and other Opposition politicians issued similar ambiguous statements. By December 28, the Government’s negotiators had struck a deal with the hijackers: They would free the hostages in exchange of three dreaded terrorists — Maulana Masood Azhar, Mushtaq Ahmed Zargar and Ahmed Omar Sheikh — facing various charges of terrorism. The CCS met frequently, several times a day, and discussed the entire process threadbare. The Home Minister, the Defence Minister and the Foreign Minister, apart from the National Security Adviser and the Prime Minister, were present at every meeting. The deal was further fine-tuned, the Home Ministry completed the necessary paper work, and two Indian Airlines aircraft were placed on standby to ferry the terrorists to Kandahar and fetch the hostages. On December 31, the two aircraft left Delhi airport early in the morning. Mr Jaswant Singh was on board one of them. Did his ministerial colleagues know that he would travel to Kandahar? More important, was the Prime Minister aware of it? The answer is both yes and no. Mr Jaswant Singh had mentioned his decision to go to Kandahar to personally oversee the release of hostages and to ensure there was no last-minute problem. He was honour-bound to do so, he is believed to have said, since he had promised the relatives of the hostages that no harm would come their way. It is possible that nobody thought he was serious about his plan. It is equally possible that others turned on him when the ‘popular mood’ and the Congress turned against the Government for its ‘abject surrender’. On New Year’s eve, the hostages were flown back to Delhi. By New Year’s day, the Government was under attack for giving in to the hijackers’ demand! Since then, this ‘shameful surrender’ is held against the NDA and Mr Jaswant Singh is painted as the villain of the piece. We are, if truth be told, a nation of cowards who don’t have the courage to admit their weakness but are happy to blame a well-meaning politician who, perhaps, takes his regimental motto of ‘Izzat aur Iqbal’ rather too seriously. This entry was posted in History, Nation, Threats and tagged Kandahar Plane Hijack, Masood Azhar, Terrorists on February 18, 2019 by arisebharat. Inspite of all its internal issues, Pakistan continues to harbour the dream of defeating Bharat & the Hindus. The video of the terrorist who was involved in the suicide attack in Pulwama has been shared extensively over whatsapp. While it is clear that he was the mimic & the voice was someone else’s, the words are important. 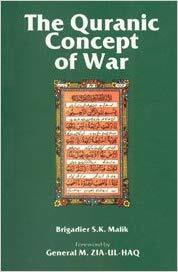 He wages war on Hindustan the home of whom he calls as Mushriks ( polytheists ) & gaumootra drinking persons which is obviously the Hindus. He also accuses the Muslims who have either befriended the Hindus or are not practising Islam rigorously. As expected, many TV channels ran debates on the dastardly act of terror. While there were many baying for revenge, there were some saying that talks are the solution and so on…. In the midst of one such discussion, one person who claimed to be a Kargil war veteran said that we must investigate why the local-bred person became a fidayeen. He spoke about politics etc but strangely did not fix the problem on indoctrination. Jehad is a world-wide phenomena but the apologists brush away the core issues of indoctrination of Ayats from the Qu’ raan stating there are bad people and good people and terror has no religion etc… . When it was happening in Bharat, the world ignored . After 9/11, US woke up and now Europe too is awakening to this grave danger. The sentiment in the entire nation is baying for revenge & the Prime Minister, Sri Narendra Modi has given an assurance with our support, the strongest action will be taken and that he has given the forces a free hand to do so. Lets hope & pray the government lives up to its promise. But an important Question is what the common person must do ? Question the apologists. There are many who would want to brush away any discussion regarding what causes radicalisation – The points of indoctrination etc. Do Not allow it be brushed away. Have open discussions on issues concerning the entire nation with friends irrespective of religious affiliations. After all the national security is paramount and everyone is a stakeholder in it. Educate family & extended family members who have for long not been exposed to the perils and thoughts of these ideologies camouflaged in the guise of religion. 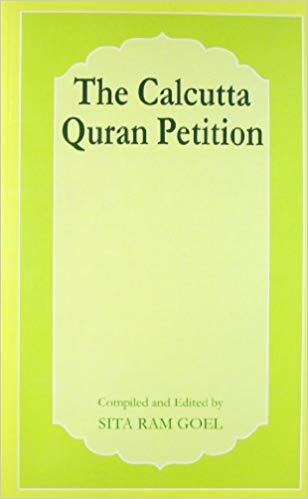 Read some important books on these subjects – Quranic concept of War, World of Fatwas, Calcutta Quran Petition, Understanding Islam through Hadis, Jehad or the Doctrine of war. Some people are bound to say that ” My friends are not like that”. ofcourse they are not ! But, they don’t matter because the mobs or fidayeens who attack are not governed by your friend But believe what the version of the mullah / moulvi. Therefore, believe what the so-called “religious teacher” is saying, because that is what matters. Support the armed forces ( including paramilitary ) by whatever means possible. Devote a few hours daily to connect to other members in the society esp youth and sensitise them on aspects of national security. Get into small groups in locality & have Raksha samitis. …And Next year lets pray that we as a nation still remember 14th February for the sacrifice of these Veer Jawans and not for some fictitious saint who has been marketed by the consumer goods companies !! Ofcourse the State is there to protect us but a Strong society is a bigger deterrent ! This entry was posted in Nation, Threats and tagged National Secutiry, Pulwama, PulwamaAttack, Terror Threat on February 15, 2019 by arisebharat.